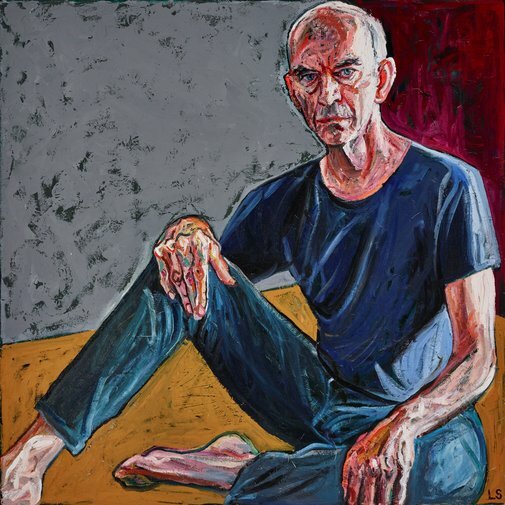 Loribelle Spirovski’s subject is actor Nicholas Hope, who is best known for his powerful performance in Rolf de Heer’s cult 1993 film Bad boy Bubby . ‘Having watched this movie at university, I was deeply affected by his sensitive and deeply human portrayal of the confronting character. So, when I happened to meet Nicholas during the premiere of his recent film, Event zero , I was compelled to ask him if he would sit for a portrait,’ says Spirovski. Born in 1990 in Manila, the Philippines, to Filipino and Serbian parents, Spirovski immigrated to Australia when she was eight years old. She now lives and works as a full-time artist in Newtown with her husband, concert pianist Simon Tedeschi. A largely self-taught artist, Spirovski trained at the College of Fine Arts as an art teacher. She was also a finalist in last year’s Archibald Prize with a portrait of John Bell.